11 Most Underrated Anime: The Ultimate List (2019) | Nerd Much? Sometimes, the best way to relax is a night on the couch with a bowl of popcorn, a delicious drink, and Netflix on the television screen. The popular streaming service is well-known for its amazing original series, interesting library of shows and movies, and the fact that it’s an affordable alternative to expensive cable TV prices. For nerds, Netflix has its fair share of amazing series, especially in the superhero genre. But fans of anime and Japanese animation also have much to choose from, as it even offers tons of great underrated anime as its own category on the website. There are quite a few titles in the anime section, ranging from odd, below average movies to popular titles that are well known, even by non-anime fans. However, what exactly are the shows about that aren’t one of the most popular anime, such as Inuyasha, Naruto, Bleach, or Fairy Tail, and are they worth a watch? The answer is yes, as Netflix has quite a number of underrated anime gems waiting to be discovered. These series are available on the streaming service at the time of this article, and definitely are worth a save into your watch list. Opposites tend to attract to one another, especially when it comes to relationships. My Little Monster follows the odd connection between a high school girl Shizuku, a book worm who’s only interest is studying, and Haru, a boy in her year who never seems to attend class. After she has to deliver homework to him, he declares them as friends. He’s rumored to be like a monster, while Shizuku is said to act like an emotionless robot. The short but sweet anime series is an adaptation of the popular shoujo manga, which is filled with both cute and hilarious moments. Shizuku is a great female lead and doesn’t fit into the “airhead” archetype common in this genre, as she is both smart and can speak her mind when she wants to. Haru is also great, being very talkative and outgoing to counter Shizuku’s cold exterior. For a shoujo series, My Little Monster is definitely enjoyable, and a great watch for those who want a romantic comedy that doesn’t take itself too seriously. Fans who want to the story to continue will have to read the manga, as this series only covers a little bit of the continuing story. A anime about farming exists and it’s much better than it sounds. This is the tale of Silver Spoon, a young student’s journey through an agricultural school. In this academy, students are prepared for jobs in the agricultural and farming fields but do not have plans to stay in the field upon graduation. The main character, Yuugo Hachiken, attends the academy because he failed his exams for his first high school choice, much to his family’s dismay. He chooses a rural lifestyle over his suburban one, meeting many people along the way. What’s neat about this series as that it captures something that we all have struggled with, trying to find a future career and planning ahead. Many of us may have not chosen to go on an agricultural career path, but that doesn’t matter, as this show not only educates its viewers about this field of work, but it also is very relatable to situations that we may be dealing with. Plus, it’s by the creator of Full Metal Alchemist, an added plus and another reason to watch. 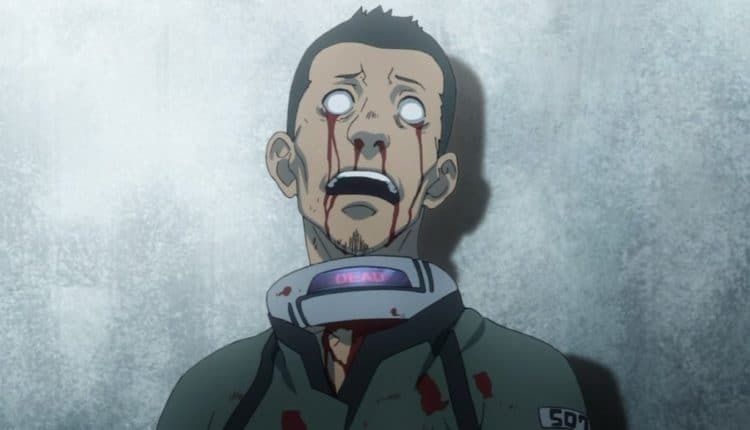 Tons of blood and a death game style battle royale to the death results in the gritty world of Deadman Wonderland, an interesting take on the horror/action/survival genre. In this show, those who are prisoners are sent to a twisted amusement park/jail known as Deadman Wonderland. This is a privately operated venue that forces prisoners to fight to the death in various games for the visitor’s entertainment. Ganta, a boy falsely accused of murdering his entire class after an incident one day, is thrown into the prison, undergoing a complete lifestyle change. Ganta must fight his way to live on each day, discovering an interesting group of prisoners known as Deadman and developing a surprising ability that separates him from the others. The cast of characters in this show are very unique, especially the mysterious white-haired girl, Shiro, who is very excitable, childish, and seems to have a connection to Ganta that may save his life. This series didn’t sell well in Japan, but it definitely did better over here, especially due to our love for gory death game style battles. This anime isn’t the complete story, but the manga is now finished for fans who need to see what happens next. Check out the best horror anime here. Set between certain time periods in Japan in a fictional society, Mushi-shi is definitely one of the most unique anime on this list. In this story, creatures called Mushi are those supernatural powers in which only certain humans can acknowledge their very existence. Sometimes, Mushi cause certain problems to others, leaving it up to the main character, Ginko to help solve their issues. Ginko is a “Mushi Master” that tries to see the good in these supernatural beings. This anime is something that is definitely a relaxing watch, due to the nature of the series, as well as the interesting way of portraying the storyline. The anime and manga have received several awards and it wouldn’t be wrong to call this series a masterpiece to add to your queue. K Project is a very weird and interesting anime series, following an odd student’s contact with the Kings of Tokyo. The Kings are those with psychic powers who rule the streets of Tokyo behind the scenes. Yashiro, the main character, is a very easygoing and upbeat student who is thrown into the lives of the Kings after being accused of murdering a very important member of a clan. K Project is very awesome and is different than a lot of anime, from the art style to the stories of the Kings. Although it may be a little hard to follow at first, this show does deliver and has recently spiked in popularity after the release of a movie and the announcement of a new anime season, making it a must try for Netflix users. What if all crime was measured by one’s psyche? Would arresting those with a high risk of committing a crime before it’s committed to be morally correct? Psycho Pass, a crime action thriller, attempts to answer these questions through its fast-paced story and setting, living up to its label as the “anime Criminal Minds”. Akane Tsunemori, a newly appointed investigator for the Public Safety Bureau, is thrown into the life as a detective. In this world, everyone’s potential to commit a crime is measured by a Crime Coefficient, which if a certain level can result in required treatment, punishment, jail, or even death in extreme situations. Investigators like Akane work with Enforcers, or former officers with a high Crime Coefficient that has chosen to serve their punishment for the greater good, or so it seems. Psycho Pass is a part crime solving mixed with a dystopian universe, having many unique cases to be solved. Akane is a very strong female lead, showing great character development throughout the many episodes leading to the finale. Psycho Pass is definitely recommended for those who love crime and mystery shows since there are plenty of twists to keep you on your seat. Only in anime can the devil work in a McDonald’s-like restaurant and that’s the most normal thing about the series. The Devil is a Part Timer follows the life of Satan and his assistant when they come in contact with the modern day world. Prior to the series, Satan was considered a very powerful magic user and ruler. When he came to the modern world with his assistant, he discovered that his powers were no longer of use, so he adapts to the human world as best as he can, becoming a part-time worker at MgRonald. Through this, he meets a human girl and comes in contact with the hero Emilia, his former enemy who longed to defeat him. However, as time goes on, Satan becomes much more accustomed to his new life, making way for a hilarious comedy that keeps viewers both laughing and intrigued. 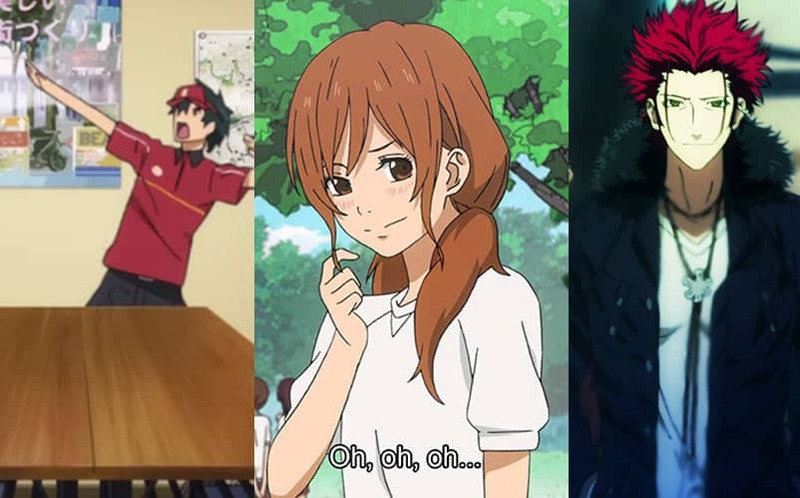 The Devil is a Part Timer is truly an underrated gem that really needs a second season. Having the ability to read minds can be tough, especially if you start to mistake their inner thoughts as people’s actual voices. Life was hard for poor Kotoura, a young psychic girl with powers that caused so much trouble, especially since she started reading thoughts aloud. Throughout her life, Kotoura was bullied and left alone due to a power she couldn’t control. After an intense and feelsy first episode, there seems to be hope for her when she comes in contact with Manabe, an airheaded boy who constantly has dirty thoughts. At first glance, this seems like the perfect setup for a slapstick show; a girl can read minds, a boy has weird fantasies. However, this is actually done very well and is not really demeaning to Kotoura in any way. This anime is simply adorable, with the relationship between Kotoura and Manabe being absolutely convincing and cute, as they unexpectedly fit well together. Despite the entire thoughts thing, Manabe respects Kotoura and wants nothing more than for her to finally have friends, which eventually comes together through the Supernatural Club. Kotoura-san! is unexpectedly an amazing show that is worth an extra look. If you were a soldier who’s robot pilot malfunctioned in an intense fight against an alien race and you woke up in an unfamiliar land, how would you react? Gargantia on the Verdurous Planet is a very unique title, following the life of former space soldier Ledo, a person trained to only care about combat and discard emotions and his journey once he lands on an unfamiliar planet covered in masses of water. This place is no other than Earth, without the land. Upon landing with his trusty robot, Chamber, Ledo discovers an entire city on a floating fleet with an interesting cast of characters. What makes Gargantia so awesome is the scenery and world that it is set in. The people of Gargantia value life and have vivid personalities that fit their respective roles and careers. Amy, a messenger, becomes attached to Ledo, attempting to make him warm up to others and showing him different customs. Their relationship is very strong until the end, making it a very memorable show that’s a combination of sci-fi, mecha, slice of life, romance, comedy, and more. Gargantia is one of those rare shows that has something for everyone, blending genres quite nicely. Two young women meet on a train on the way to Tokyo, both named Nana. Their fates intertwine as their personalities clash, making one of the best anime duos of all time. Nana Komatsu is a cheerful, yet slightly boy crazy girl who moved to Tokyo to be with her boyfriend. 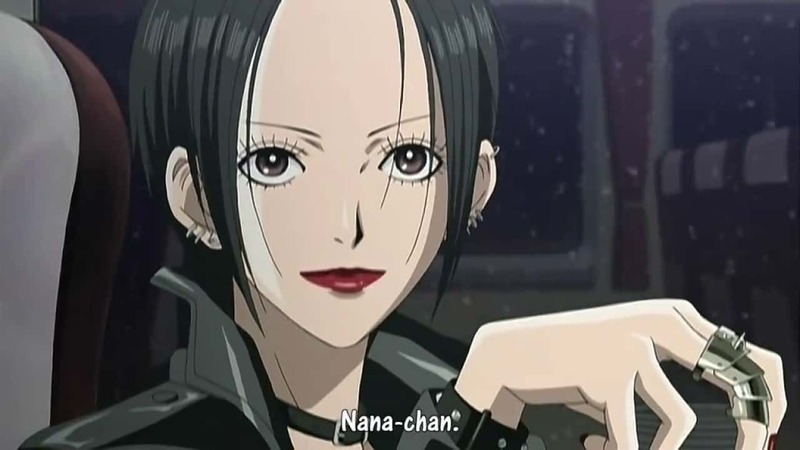 Nana Osaki, a confident singer from a small town, moves to Tokyo to make it big. Both meet each other by chance, agreeing to share an apartment together. NANA is truly a gem, accurately depicting the lives of college-aged characters and relationships, making it one of the most realistic anime series of all time. Boyfriends aren’t perfect, jobs aren’t perfect, and life isn’t easy. NANA captures all of that and more, playing like an elaborate drama before your eyes. The characters in this series make the show, as they touch on many real-life issues and the problems young adults have when first moving out. Both Nana’s and their friends each have a specific role, each with their own personality. It isn’t that NANA is underrated as much as it is somewhat forgotten. It is an older anime with an even older manga. However, both the show and manga have been put to a halt. NANA ends with a potential for another season which was never made. The manga went on for several more chapters, before being put on a hiatus that has lasted a few years now. Fans can hope that the author at least finishes the brilliant story because not everything is resolved. There is always hope. Premiering in January 2014, Noragami proved itself to be one of the most outstanding anime series of all tine in more ways than one. In Noragami, the real world and a spirit world come together in which gods exist as well as phantoms. Evil spirits are defeated by gods, whose power is strengthened by the number of followers one has. Gods use weapons known as Shinki in order to defeat these entities, saving people from harm or spirits from being possessed. Yato, a cocky, cynical, and lesser known god, tries his hardest to be noticed. One day, a human girl sees him and decides to try and save him in a split second, resulting in her becoming a half phantom, in which her spirit temporarily leaves her body. Norgami is a great combination of strong characterization, well-choreographed fight scenes, historical lore, believable romance, and pure awesome. Every episode was well made and never felt out of place, despite there only being 12 episodes in total. After the first season ended, fans longed for more, resulting in a second season announced for this fall. Finally, Yato, Hiyori, and Yato’s shinki, Yuki’s story can be continued. For now, it’s a great Netflix watch for any fan.